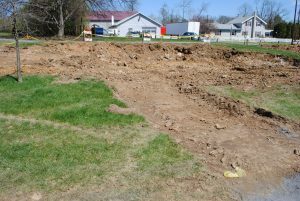 The latest project that is underway at Biddle Mission is the construction of a labyrinth with 100-year time capsule placed at its core. The Carlisle East Side Neighbors Association (ESNA) and greater Carlisle community is excited to bring a labyrinth to Biddle Mission. 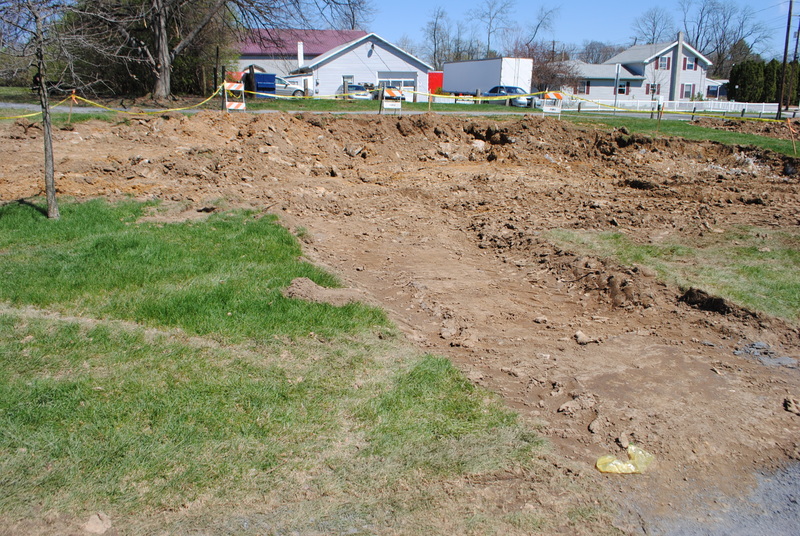 The ENSA hopes that a labyrinth will bring more community members to Biddle Mission. ENSA members also feel that the park is well equipped with play and exercise equipment, but it is lacking a reflective, relaxing space. The public opinion that the park lacked a reflective element can be related back to the proposed 1933 plans for Biddle Mission. Its design features suggest that multiple types of uses were to be built into the space. When observing the future plans for the park, one can look back and see a connection to the earlier ideas that were proposed for the site. The plan from 1933 would have allowed for the park to be admired in specific areas while in other areas the space would have been interactive. It had various sections that were to be used for specific activities such as areas for playground ball, picnics, and quiet games. There were also many trees and large lawn spaces that would have been used for admiring landscape and healthy living. 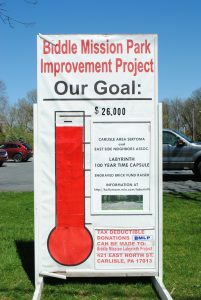 Thus, one can see how the previous and future plans for Biddle Mission Park incorporate play and exercise aspects as well as spaces for reflection and relaxation. Labyrinths are intricate walking paths that can be used for reflection, meditation and relaxation. A labyrinth “experience” typically includes three phases: Purgation (letting go of stresses/worries from daily life), Illumination (the center of the labyrinth, a place for clarity and insight), and Union (the path outward, returning to daily life refreshed). Throughout the fundraising process project coordinators continuously advertised the various benefits of labyrinths, walking styles that can be used in a labyrinth and fun facts about labyrinths. 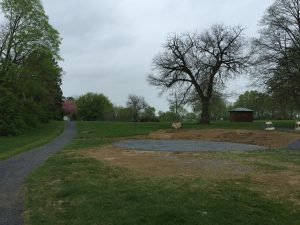 With the project approval by the Carlisle Borough Council and the Parks and Recreation Dept, the only remaining setback for the project is a fund of $26,000 needed for the labyrinth’s final installation. However, in October 2016, 40% of this fund had been raised. Since then, multiple fundraising events have taken place over the past several months in order to raise the money needed. To help raise money project coordinators started the Brick Fundraiser. For $100 community members could purchase an engraved brick to honor or memorialize of loved ones. These bricks will be placed within the sidewalk path that leads to the labyrinth entrance. More recent events include a fundraising event at the local Panera took place in February 2017. A spaghetti dinner and labyrinth jewelry sale was put on by the project coordinators in March at the St. Paul Evangelical Lutheran Church. From these fundraising events and others, labyrinth builders were able to get to work by digging up the land on April 5, 2017. 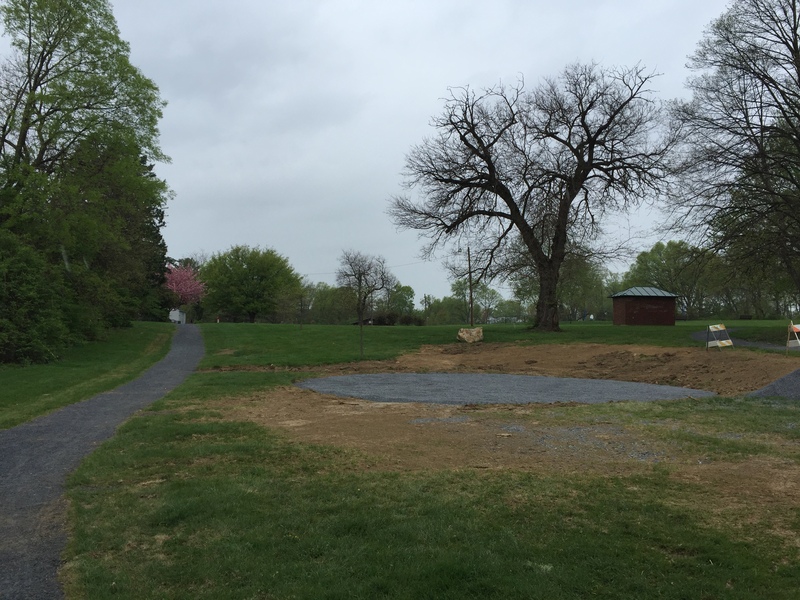 As of April 14, 2017 the labyrinth site has been leveled and the base layer of material has been installed. You can follow along with the most recent installation updates on the Biddle Mission Park Labyrinth’s Facebook page. If installation progress goes according to project’ plans, at the Downtown Carlisle event on May 6, 2017 which also happens to be World Labyrinth Day, a groundbreaking ceremony has been planned to celebrate the beginning of the installation project.